Selected unique pieces were created in the watchmakers of JS Unikatuhren. All watches are unique and immediately available from us. Click to your favourite watch and you will find the English description. 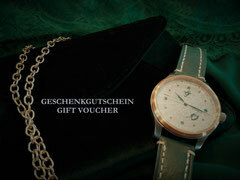 Discover our NEW gift voucher. Created individually & personally for you. Contact us for your inquiries. 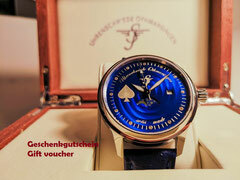 We are happy to create your gift voucher with your personal message and an individual value.